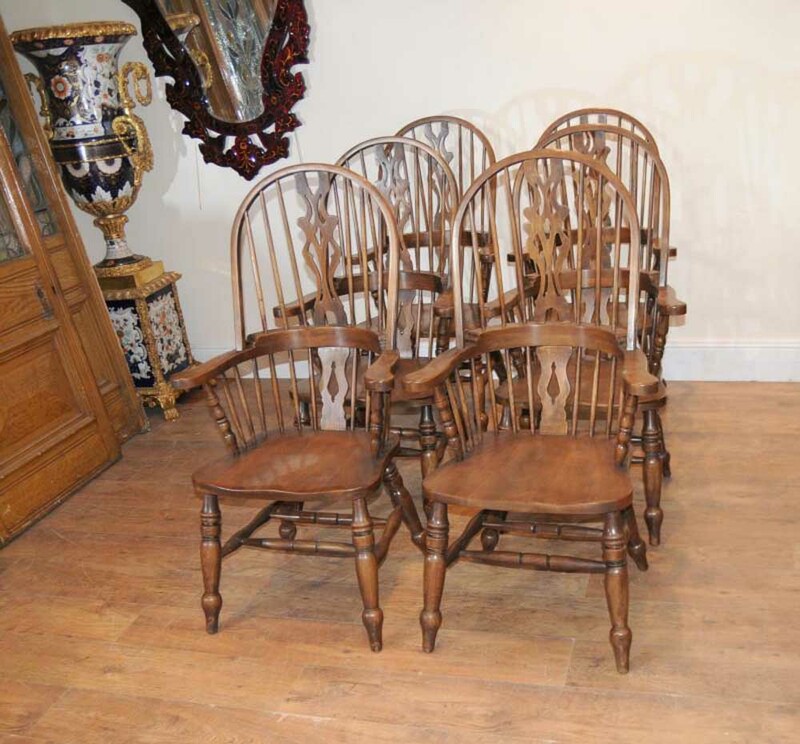 You are viewing a set of 6 Windsor chairs made from the finest English oak wood. 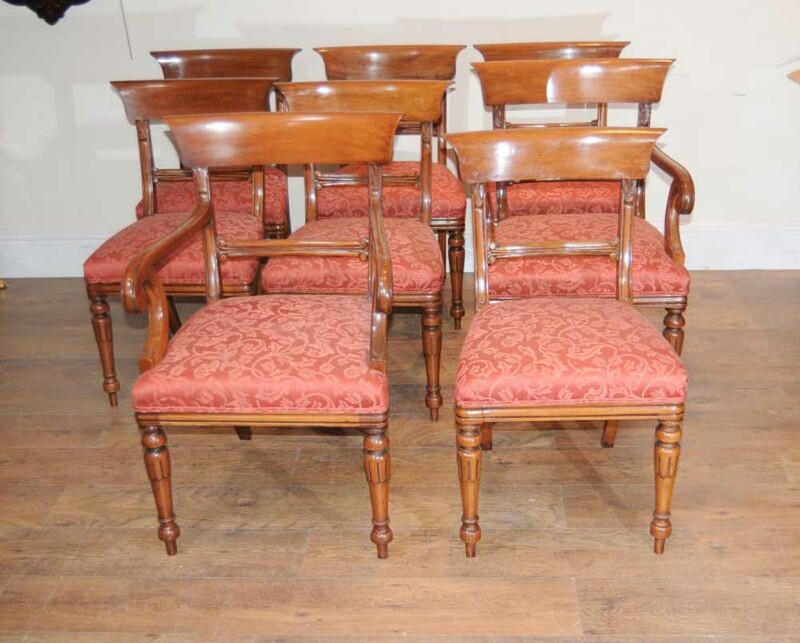 The set of 6 consists of two arm chairs and four side chairs. 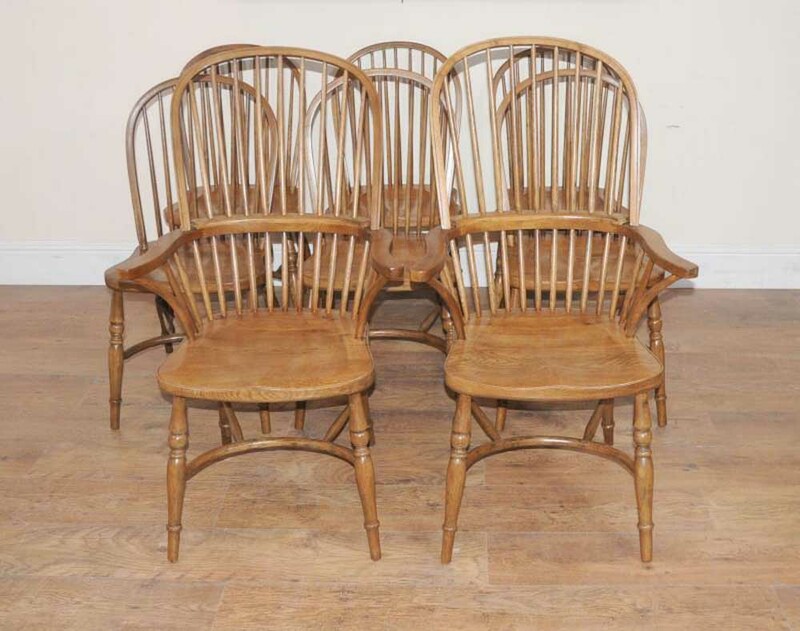 These are the traditional and much loved Windsor chair design featuring the crinoline stretcher, hand turned legs and the saddle shaped seats. 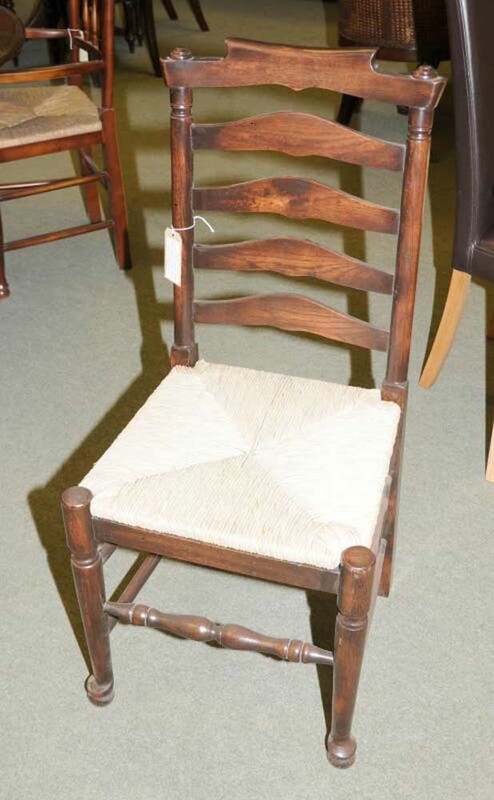 They are very comfortable and solid and these are perfect for that rustic cosy farmhouse look. 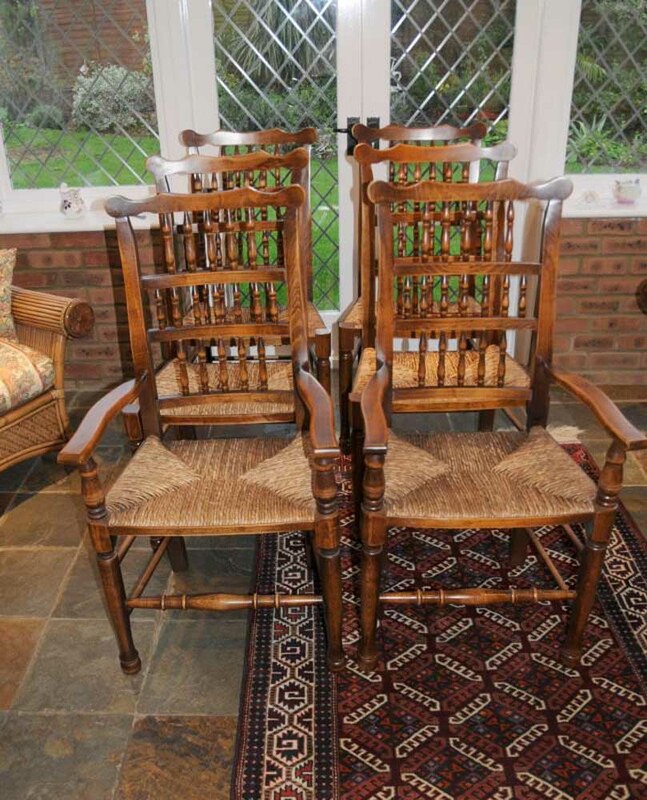 These were made by craftsman at High Wycombe in Buckinghamshire where they have been made using the same materials and skills for centuries. 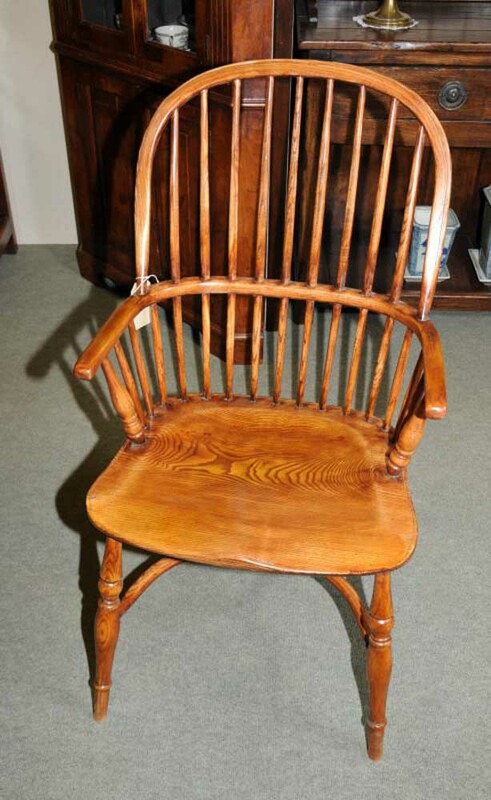 They are called the Windsor chair after the proximity of the town of Windsor, home to the famous Royal castle. They are a design classic and perhaps – in our humble opinion – one of the best style of chairs ever made. They are flexible in that they look equally at home around a dining table as they do in the kitchen. For as long as I can remember we’ve had a set in our kitchen and they are perfect for withstanding the rigours of daily family life. They are solid, sturdy, comfortable and look great. They are hand crafted from the finest English yew and considerable work goes into the crafting of these fine pieces. 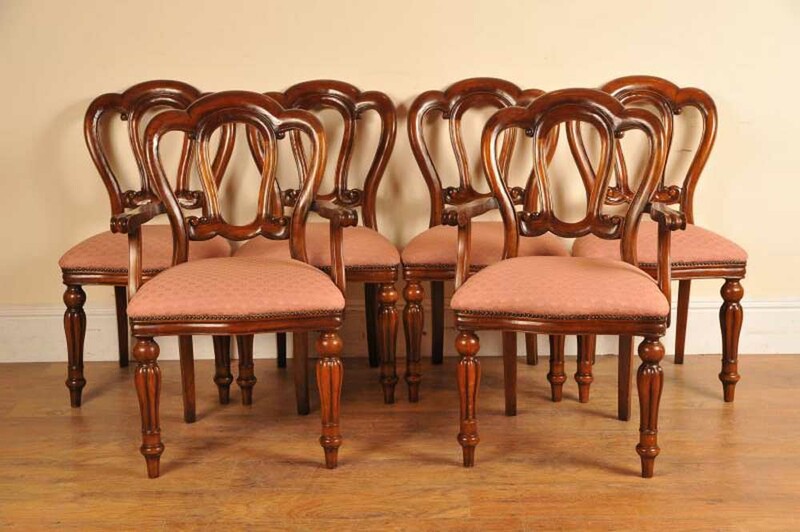 Each seperate piece to each chair is hand carved and turned then assembled. 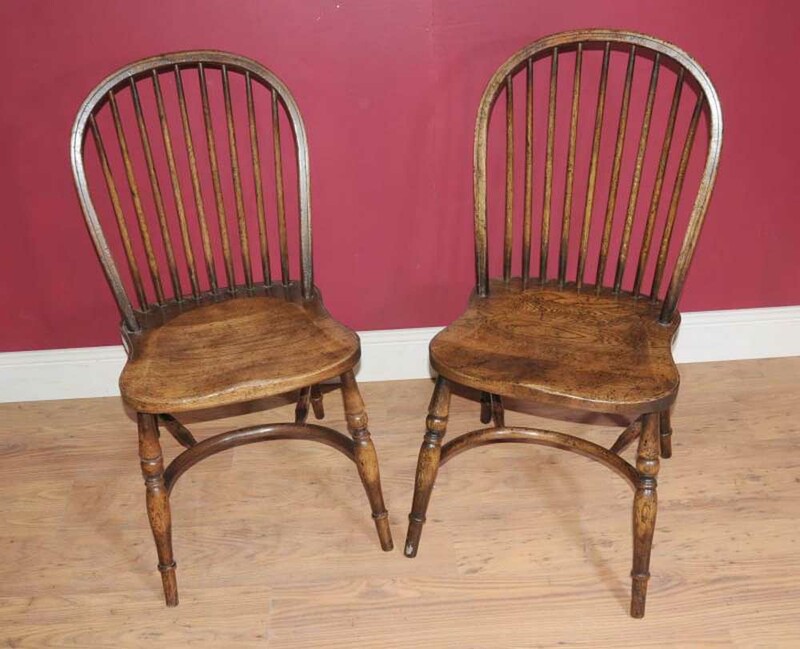 This particular set came back from the restorers so they have been repolished and are very sturdy and ready for home use right away. 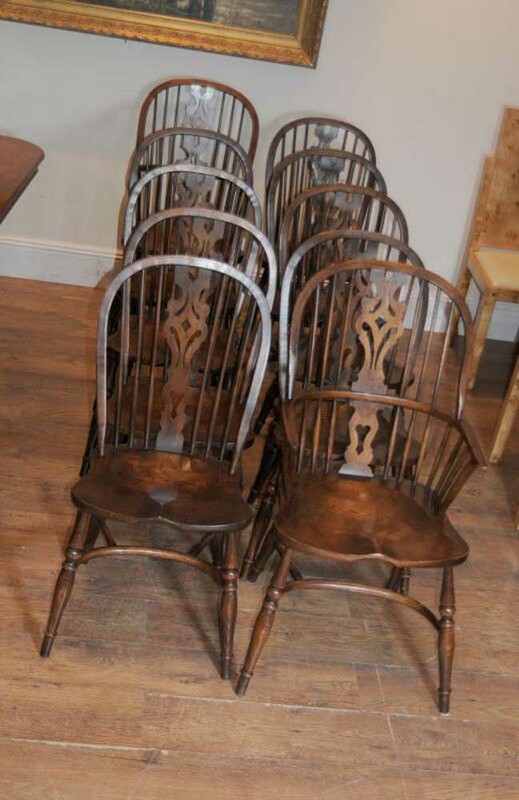 We have a number of tables suitable to match these chairs so email us if you are interested – we have pictured the set around a lovely rustic English refectory table so please let us know if you are interested in buying a dining set. 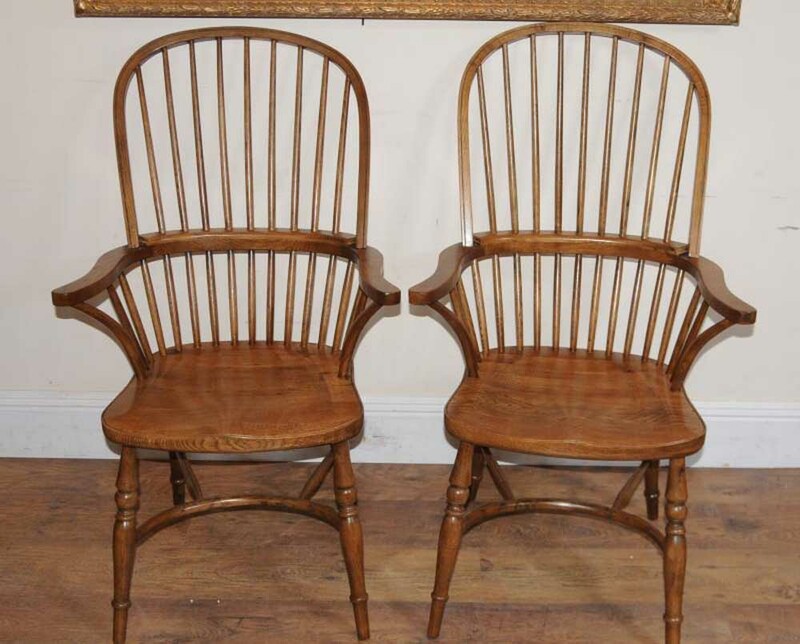 These chairs are built to last and I don’t think I’m exaggerating by saying they will last forever and hence make a great heirloom to pass down from generation to generation. We are expecting a lot of interest in these so get your bids and shipping quotes in early.